See you soon "J"! A story about "goodbyes"
Or you may suppress your sentimental side, like I do, and choose to approach “goodbyes” in a very formal, rather awkward manner. One may perceive my attitude as an acquired skill, very much linked to self-reliance, when in fact the big majority would agree that it’s a coping mechanism, meant to hide my fear of losing human connectivity. Being a global citizen, certainly, has its own downsides and one of them is precisely the impermanence of our social connectivity. There is always distance between us and the loved ones and we need to put an effort to feel part of a community, or to create a sense of “togetherness”. But our struggle teaches us awareness and helps us to consciously tune ourselves up to this particular type of existence. We embrace distances and we end up living with a luggage waiting for us to travel to the next place we call “home”. Maybe we don’t enjoy “goodbyes”, but we live for reunions, for the next “hello”, the one that bring us closer and reconnects us. We create a new narrative. One that comforts us and shows us that this corner of the world resonates to any other, that we are not alone and somewhere, almost everywhere, there is someone else that doesn’t believe in goodbyes or distances, but is always ready to travel for us, or to let us know that his home is ours. My post is, nevertheless, about teaching about “goodbyes” and “distances” young humans, toddlers, the very vulnerable global citizens, those who do not have any meaning of time and distance yet. They need, however, to travel in order to meet their grandparents and cousins, sometimes to different countries. 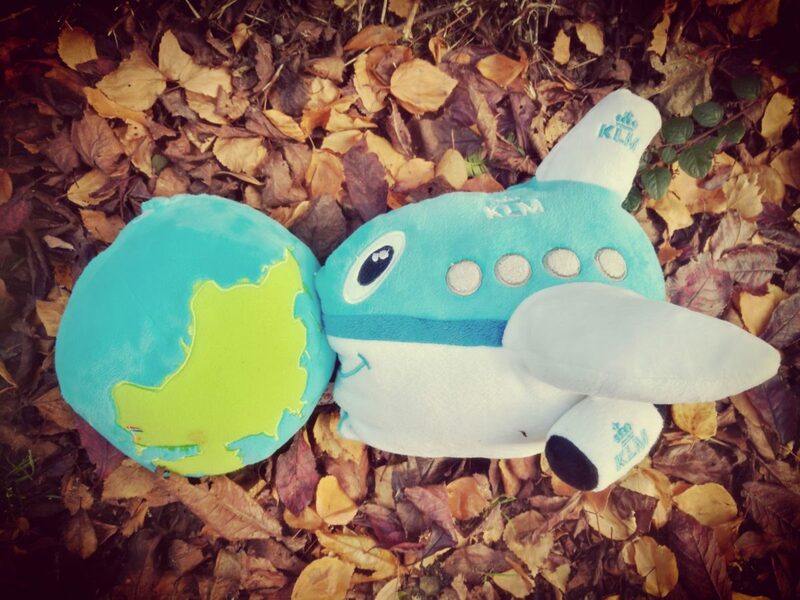 They have airplanes as their favorite toys and they learn “sky” among their first words. How do we teach them about “goodbyes”? How do we teach them to accept distance and not to miss the grandmother that they have just accepted in their lives, the one that they are going to meet again only in a few months? How do we explain to them, in simple words, that Internet is their path to human interconnection and also their surrogate for human touch, for the face to face playtime. How do we teach them to transcend borders and have a sense of community against all the odds, which are “flourishing” in our current state of the world? I do not have any answers yet. I do have though a 19-months-old little girl, who asks me every day about my parents, her “Lala” and “Tati”, the ones that I effortlessly left behind; the ones to whom I say “goodbye” with a pat on their shoulders, doing this not because I’m unsympathetic, but because I willfully choose not to look them in the eyes and sense their tears. “We will see them soon”, I often answer while a river of emotions bubbles up to my chest and makes me realize the pain I’m carrying around. “You will see him soon” I also tell her every time she asks about her first best friend “J”, the one that moved back home, right after they finally accepted to share more hugs than slaps. Now she learned the word “soon”, and her “soon”, pronounced with a mountain of expectations, humbles me and reminds me that we are still not there yet. We haven’t transcended pain, or space, or borders. Having loved ones thousands of miles away shrinks the whole world! Sarah will grow up strong and the whole world will be her backyard. How beautiful. So true, but you will always be there for her! I’m so touched, in a good way….!! Keep writing. Beautifully worded. I witness this struggle in the expat clients I work with. Hope many read this and feel conforted by a shared experience. This is one of the most important things in life and it is something we seem to be struggling with as long as we live. Because life is series of “good byes” and “hellos”. This is how we become aware of time and space. This is how we learn that emotions are those making us have a rather personal perception of these two essential points of reference. Time flies when we are with the loved ones and it never seems to end when we are looking forward to see them again. Space? The space we recognize is the one we have in our hearts and emotions are shrinking and expending it in our minds. How can we teach all these to a toddler? In the same way we teach them about love. I think that they are more sensitive and sensible than we can imagine. I hate to say “good bye”, I always prefer to say ” see you soon”, because in this way I express both my willingness and hope to spend time with the loved ones again. When? “Soon”, or “at a heart beat”, if I believe that I can feel my heart beat only when I am with those I love. We are all children of the planet Earth. The difference between us and our children is that we learned that we us citizens of the Earth and not of a narrow space of a country, while they grow up in this way. To them it is natural, while we still have a hard time accepting it. Can we measure “soon”? Yes, if we can count our heart beats. Can we teach our innocent toddlers the meaning of “soon”? I think that they are the ones to teach us, because they know better. Because Sarah and her generation will add their own dimensions of “time” and “space”. They will become citizens of our Galaxy, and their children will have spaceships as toys. The reality is that the moment we are experts in saying good bye, we cease to be humans. Bluemoon, we have been growing so differently and that’s also why our ‘good-byes’ have another taste. Sarah, or children like her are growing in this panorama, of the entire world, not with country and word borders, as we did. Wow – what a powerful recount that conveys a feeling I can totally relate to, even when I am living in my native country. I have often considered the topic as well – how do kids cope with these goodbyes? I always think about the story of a colleague of ours whose father was a counsul and who had to move quite often… But I guess we just have to find our own ways, our own solace. Beautiful post. Goodbyes can be so difficult for me as an adult, so I try to remember to have more compassion for my children when we have to say goodbye to loved ones, sometimes for months and years. My siblings have moved all over the world, so we see each other very infrequently. The goodbyes are hard, but the reunions are always sweet!